Wenzhou Yimou Import And Export Co., Ltd.
Bidirectional knife gate valve Name: bidirectional knife gate valve Model: quz73x-10q Nominal diameter: dn40-dn1000 Nominal pressure: 0.6mpa-1.6mpa Material of body: gg20, gg25, ggg40, ggg45 Material of wedge disc: 2cr13, 304, 316, 316l etc. Type of operation: bevel gear, pneumatic actuator, electric Actuator. Accessories: solenoid valve, limit switch, series filter regulator Made of standard: gb, ansi, jis, iso, din, bs etc. Knife gate valve Name: knife gate valve Model: qbz73x-10c Nominal diameter: dn50-dn2000 Suitable pressure: 1.0mpa-1.6mpa Material of body: wcb, 304, 316, 316l etc. Material of disc: 2cr13, 304, 316, 316l etc. Type of operation: bevel gear, pneumatic actuator, electric Actuator. Accessories: solenoid valve, limit switch, series filter regulator Made of standard: gb, ansi, jis, iso, din, bs etc. Short on time? Let knife-gate-valve sellers contact you. Gates for knife gate valves. 'AMCO' Knife gate valves are designed for isolation, on-off & throttling services in various industries. Liaoning Giahar Precision Metal Co., Ltd.
Kaitai Valve Group Co., Ltd. Stainless steel gate valve, 2" 150# rf a351 cf8m. Valves and are generally made of plastic or steel, the latter being the most widely used in chemical and petrochemical applications. Steel grades range from the most common type, namely carbon steel, with standard stainless steel being the second most common. Stainless steel alloys, which include nickel or copper are used in applications that require higher corrosion or heat resistance. In such cases, the most commonly used valve configurations -- ball valves, gate valves, check valves, globe valves and butterfly valves -- are often forged or cast as duplex valves, super duplex valves, alloy 20 valves, monel valves, inconel valves, incoloy valves and 254 smo valves (6mo valves). Titanium valves are also used in some highly corrosive applications. Titanium is not a stainless steel alloy. Hebei Tongli Import & Export Co., Ltd. The knife gate valve is truly a high performance knife gate valve design. This valve provides zero leakage Bi-directional shut-off, has mechanically retained seal, has a compact non-rising stem design, and can be Repacked in service under full pressure. The chest and seating areas of the valve are self-cleaning. The Reduced chest area, minimal gate arc, and contoured flushing corners in the body prevent jamming by Eliminating material build-up in the chest, body and seating area. 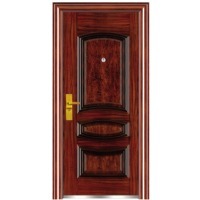 The gate seals against a combination Metal and resilient seat and is guided for the full stroke length of the valve. The top “transverse” seal is repackable while in service under full pressure. The valve is tested and rated for zero leakage (liquid or Gas) downstream and to atmosphere. Zhengzhou Free Fluid Control Technology Co., Ltd. 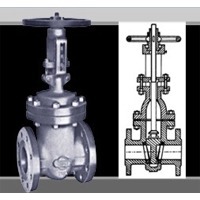 Ceramic Knife Gate Valve FREE-Valves Ceramic Knife Gate Valves are known as slurry gate valves. Its have simple structure and can cut off medium which contains solid particles and fibers, but for some very hard particles or serious erosive mediums, general metal seated knife gate valves will be washed out easily, so ceramic knife gate valves are very suitable for those mediums containing fibers and hard solid particles. Features: 1) Short length of structuresaving matrial lightweight easy to installsmall space occupation. 2) Seat is designed with single seat type to prevent sticking and accumulation of ash residue. 3) The sealing surface is made of structure ceramic with abrasion resistance and long service life. Technical Specification: 1) Size Range: NPS2~NPS24,DN50DN600 2) Pressure Range: Class 150 /PN6/PN10 3) Applicable Temperature. 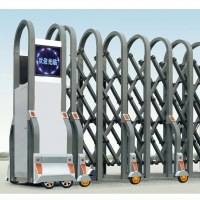 : 0200 4) Connection T ype: Fl ange , wafer 5) Sealing material: engineering ceramics 6) Body Material: WCB, CF8, CF8M, CF3M 7) Pressure test:GB/T13927, API598 8) Face to Face: GB/T12221, API609 9) Valve body : GB/T12224,ASME B16.34 Operating Mode:Manual/Electric/Pneumatic Application: FREE-Valve's Ceramic Knife Gate Valves are suitable for the conveying system with liquid-solid or gas -solid two-phrase medium , such as ash, mine residue and coal residue in iron and steel plant or ash conveying system of power plant , paper pulp in paper industry, sewage and slurry in decontamination plant ,especially useful for the heavy medium system of coal mill. FREE-Valves Bi directional knife gate valves are known as slurry gate valves. 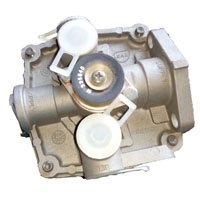 Its are bidirectional valve deals with flow in both directions, while offering zero leakage. The U shape peripheral seat design ensures full-port flow and non-clogging shutoff.The disc bottom of knife gate valve is made into a blade shape with the purpose to cut some soft materials such as fiber,pulp or wood pulp, and it also serves favorable closing and opening. Features: 1) Knife gate valve is Bi directional,zero leakage,withstanding high differential pressure and full bore valve with minimal seat cavity for maximum flow capacity. 2) No groove is designed on the valve seat,which prevents accumulating media on the sealing surface, and thus avoids sealing surface leakage or disc blockage cause by media accumulation. 3) The integrated body structure with precision casing. 4) U shaped resilient seat is embed into the body and is well connected with the gate,and the friction is reduced during the upward and downward movements of the gate.This greatly prolongs the using life of the seat and realized bi directional sealing. 5) Replaceable flexible wire reinforced elastomer seat ensures bi-directional zero leakage shutoff. 6) Full port flow path with minimal pressure drop achieved through full port valve design. Technical Specification: 1)Size Range: NPS2~NPS48,DN50~DN1200 2)Pressure Range: Class 150 /PN6 /PN10 3) Applicable Temperature. : 0~200 4) Connection Type: wafer 5) Sealing material: Rubber,PTFE 6) Body Material: Ductile Iron 7) Disc material:Stainless steel 8) Pressure test:GB/T13927, API598 9) Face to Face: GB/T12221, API609 10) Valve body : GB/T12224,ASME B16.34 Operating Mode: Hand wheel,Bevel Gear,Pneumatic,Electric,Hydraulic Application: 1. Mining, coal washing, iron and steel industry used for washing coal pipes, filter slurry pipes, discharging ash pipes, etc. 2. Purification system used for waste water, mud, sewage and water with suspended solids. 3. Paper industry used for any mixture of pulp, material and water of any concentration. Slab gate valves, TFC China. Sea worthy plywood cases.